The Schnitzel is probably the most popular meaty dish hailing from the German lands. It incorporates meats such as veal, pork, beef or chicken and is characterized by using the said meat in a very thin boneless cutlet form. The meat can be breaded and then deep fried or they can also be pan fried and then be used as breading or just be consumed without the bread. They have quite a versatile function in that respect. Schnitzels also come in a variety of forms depending on the geographic locale one is in. but essentially the recipe remains the same. If you were to check out the popularity scale then the favorites list would be topped by Wienerschnitzel Schnitzel. Traditionally speaking Wienerschnitzel is made out of veal and then is breaded by using breadcrumbs. The dish is then served along with lemon and the well-known German salad or just the simple parsley potatoes and also at times with lingonberry jam. Schnitzel has managed to conquer the taste buds of many and more. You can quite easily find them in most trans-European eateries and good bakeries world over. However many do not know the details about its origins and other historical details. Culinary historians have shown that the name – Schnitzel traces its roots from the word der Schnitz. Der Schnitz, a verb in the German language refers to a slice or a cut. Also, an another word Schneider is used in reference to a tailor. This is because the tailor performs the function of the cutting of the fabric. It is also interesting to note that one of the popular regional breads has its base word as: Schnitzbrot. In the very general case it is slices of fruits such as apples or pears and some other dried varieties of fruits and nuts which hold prominence during the festive seasons such as Christmas. If you happen to travel locally in Germany and then visit some local households, fascination is bound to envelop the mind. It is almost inescapable. Their famous almond cookies, which is locally known as Mandelschnitten and a pastry dish known as: Schneiderfleken – all of them in-fact share the similar word root. As far as the origins of the recipe of a schnitzel is concerned there are many documentations available which first incorporated the process of tenderising pieces of tough and hard meats by the way of pounding their slices. The process would then continue and the meats would be dredged in breading and then frying them. These processes of cooking date as far back as the 1st century BC and are centrally located in the continent of Europe. Historical documentations have presented a certain individual going by the name of Marcus Gavius Apicus. More often than not he is credited to have developed this dish. Scholars have regarded him as a pioneering man of his day and age. When we move into the Middle Ages, interestingly the schnitzel by then had managed to capture the imaginations and thus stuck on the taste buds of many. It was not only popular in the Germanic lands but also Northern Italy and the current day Austrian region. Also, it is important to note that the main ingredient which is the meat that was used at around this time was the veal. In this age the crown of the most popular schnitzel was adorned by the Wiener Schnitzel. Wiener Schnitzel was basically a steak served along with baked potatoes. The same combination is also quite famous in today’s Austria and the United States of America. Another interesting discovery was that the origins of the Wiener Schnitzel are not quite German or Austrian for that matter. Evidences have shown that the schnitzel came about from Roman traditions. It is because of this reason that the famous Italian dish: Cotoletta alla Milanese is cooked in a similar manner. This dish as a matter of fact preceded the emergence of Wiener Schnitzel in the menus of Austria. In the due course veal as the meat became a standard when one goes on preparing the Wiener Schntizel. Interestingly, any restaurant serving Wiener Schntizel is legally bound to only use veal and nothing else. 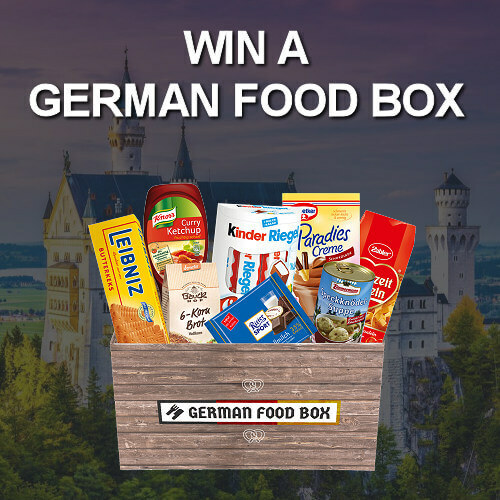 On the other hand if you look around under the name of schnitzel one can find a variety of meats being used such as pork, beef and even chicken and of-course veal. You should rather not hold any matter of surprise when you see the sheer variety of schnitzel available all throughout the world. In the Middle East as well, particularly Iran, they have their own variety of the schnitzel which is a lot meatier along with being spicy and covered in crisp breading. In Japan for instance, their version of the schnitzel is called Tankatsu. In the German lands you can find verities such as the Waldgeist in Hoffenheim. The Waldgeist in Hoffenheim is a kind of schnitzel which is served as a pizza. There is a restaurant in Dusseldorf, Germany which is known as Berger Strasse. They serve their schnitzels with edible gold flakes and truffles. Indeed the dish carries quite a price tag. Sometime around the mid-1800s in the state of Texas, United States of America many of the German immigrants were pouring in. Here in this region the availability of beef was more than plentiful rather than veal or pork. Therefore, to satiate their love for the schnitzel, the immigrants started incorporating beef in their schnitzels rather than pork or veal. Thus began the grand morphing of the schnitzel. Now, the meat of beef is not tender and to make it so the cooks began to pound the tough cuts of the meat bit by bit. An interesting anecdote that followed was that the same process of tenderising meat was accidently performed on chicken meat. This accident was well received and thus also emerged the chicken fried steak. The region of Indiana also housed many immigrants from Germany and it is this heritage which brought forward the many European delicacies to the land. In this region particularly a sandwich by the name of Pork tenderloin sandwich is quite popular. The Pork tenderloin sandwich essentially originated from the schnitzel. This sandwich at all times uses pork loins which are served on buns. Historians have also linked this dish with the famous German Bratwurst which is also served on a bun along with sausages. Schnitzels have always been about richness and a cholesterol extravaganza. However with the growing health concerns the dish is changing further. The traditional ways of cooking will in any case remain but as has been seen above the essential versatile character of schnitzels is resulting in other tangential variations. Today you can find lightly breaded alternatives and versions which use skinless chicken breasts and the leaner portions of the pork loin along with turkey breasts. They are then combined or independently topped with light toppings and sauces. Among the modern day versions of the schnitzel are: Pan fried Chicken Schnitzel with Jaeger sauce and the Hühnerschnitzel Caprese which is also a pan fried chicken schnitzel which has mushrooms, tomatoes, parmesan and some fresh basil on the top. 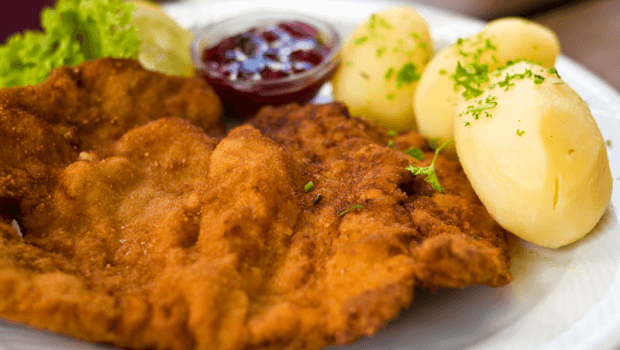 The traditional German Schnitzel or the Schweineschnitzel as it is locally known is protected by law here and as well as Austria where it is also otherwise known as Wienerschnitzel. In both these regions schnitzels can only be made using veal. Moreover, their authentic recipes also overlap in most processes because of the shared common heritage. However, there also exists a small difference where by the schnitzels of Germany can also be made using pork and not veal alone. Pork is also widely preferred here. In Germany the Jägerschnitzel is the most popular variety of schnitzel. It is served along with rich gravy of mushrooms. The other dish that follows this is the Zigeunerschnitzel or the gypsy schnitzel which is served along with zesty bell pepper sauce. Rahmschnitzel is another variation which involves a creamy sauce. These dishes can be eaten at most of the local German restaurants. What is common in all these and the many more recipes is the particular way of preparing the meat. The aim is at all times to achieve the perfectly pounded variety of meat. Cut meat portions should first be made sure to not be more than 1/4th of an inch thick. This is because they are fried at a very high temperature but for a very short duration. Also, in this process, the trick is to make sure that the inside of the meat does not remain raw and at the same time the crust remains crispy. Therefore, for this purpose the meat should be pounded by placing it in-between two pieces of plastic wraps. While pounding make sure that you use the flat side of the mallet and also remember to sprinkle each of the side with salt and pepper. You will first have to place the pork chops between two sheets of plastic wraps and pound them till they reach to thickness of ¼ inches. Make sure that you perform this task by using the flat side of the meat tenderizer. When that gets done you can apply the light seasoning of freshly grounded black pepper along with salt on both the sides of the meat. Next, you will require three separate medium sized bowls. In each of the bowls you will be required to place the flour, beaten eggs, and breadcrumbs. Now, take the meat chops and dip them in each of the bowls one at a time. You will have to be careful as the coating has to be proper on both the sides. Moreover, do not worry about the mess, it is bound to happen and can be cleaned later. Also be watchful of not pressing the breadcrumbs harshly on the chops. In the mean time you will also have to place a medium sized non-stick frying pan on high flame. Make sure that the pan is deep enough to contain the oil and then the meat chops. Now, gently scrub off the excess crumbs and then fry them immediately. If you let the coating sit for long then it is likely that the crispiness would not come about. The most important thing to keep a check on is the temperature of the frying oil. It should be roughly at a temperature of 330 degrees Fahrenheit. Also, the quantity of the oil should be such that the schnitzels are able to swim in it. The frying process should be about 2 to 3 minutes and the aim is to reach a deep golden brown colouring on both sides of the chops. Then you can transfer the chops on to a plate which is lined with paper towels. They will soak up the excess oil. Schnitzels are best served hot and fresh. So you need not waste much time once they are out of the frying pan. Presentation is entirely a matter of personal choice. You can simply place slices of fresh lemons and sprinkle fresh parsley springs along with a preferred kind of sauce. In Germany they are popularly served along with Spaetze, French fries or the typical German potato salad.